Kim Donnelly-Goss of Saint John passed away peacefully at the Saint John Regional Hospital on February 4th, 2019. Born in Saint John on Febuary 24, 1955, she was the daughter of the late Shirley (Mullin) Wong and Bill Wong of Baileyville, ME. 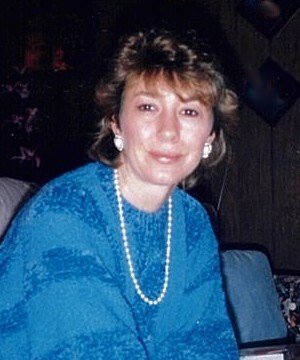 Kim was a loving devoted daughter, sister and wife. Those who knew her will love and miss her forever. She worked for Irving Oil as an accounts payable clerk for over 40 years, retiring in 2015. Kim is survived by her father for whom she was very close, Bill Wong, her loving and devoted husband of 36 years Bruce Goss of Saint John; her little sister Sandie Wong (Mike) of Pembroke, ME; brother Mike Martin (Debbie); a very special uncle Avard McKenzie, several aunts, uncles, nieces, nephews, cousins, brothers-in-laws, sisters-in-laws, co-workers and friends; close best friends Pat Delvallet, Marie Hall, Joyce Sommerville, Dona Pike and Ellen Garnet. Along with her mother Shirley, Kim was predeceased by her Aunts Frances, Teresa, Betty and her little nephew Gerry. Kim was all about family, she adored her rescue cats each and every one of them; shopping with her sister Sandie and long evening chats with her dad. Kim’s family would like to take this opportunity to thank all the Doctors, Nurses and Staff of the Saint John Regional Hospital. Your kindness and compassion will never be forgotten.